I was just 9 years old the first time I encountered colic. The previous summer, my mother had purchased an off-track-thoroughbred we named Gandalf, the first horse she’d owned since her college days and the first to become part of our family. Despite having suffered neglect and illness before coming to us, he was a kind, gentle creature content to accept the lavish affections of a young girl, packing her around carefully on his springy trot. Then on a December afternoon just a few months after coming home to us, Gandalf was suddenly very, very sick. I remember helping walk him in the arena for a while as mineral oil dripped from his nose. I was sent home for the evening, and mom remained with our horse and the vet until the wee hours of the morning (her birthday). It wasn’t until waking in the morning that I learned Gandalf had been seriously sick, from a twist in his gut the vet thought, and mom had to make the inevitable and difficult decision to put him down. It was the first experience I, as a budding young horse woman, had with a horse colicking. It certainly wasn’t the last, and it also set the stage for the feeling of dread any time the barn phone number shows up unexpectedly on my caller ID. 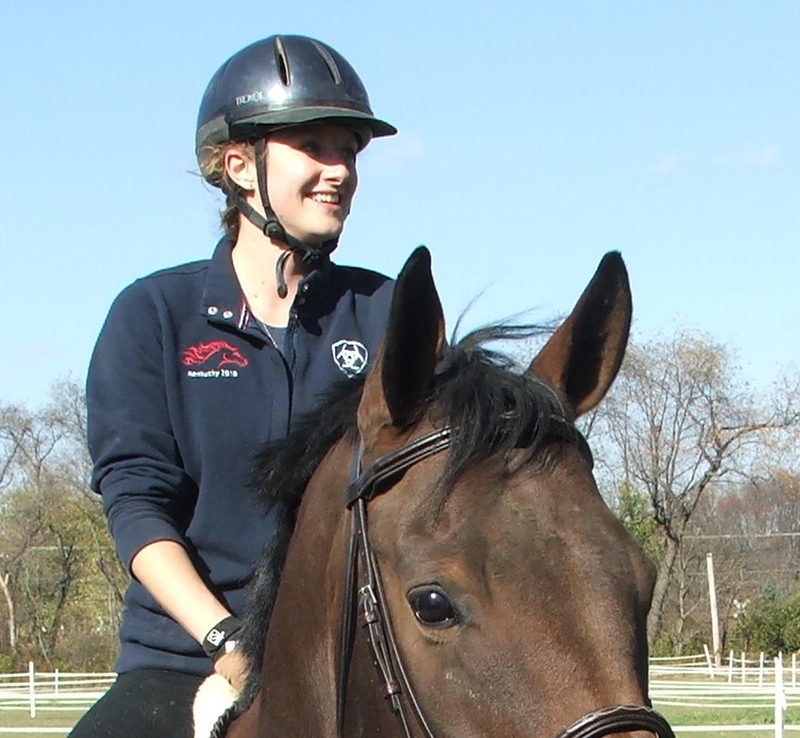 My experience is hardly an isolated one, as colic has arguably touched all equestrians in some fashion. So years later, when the phrase “a crusade against equine colic” was flippantly thrown out in a business meeting – a cause was born. 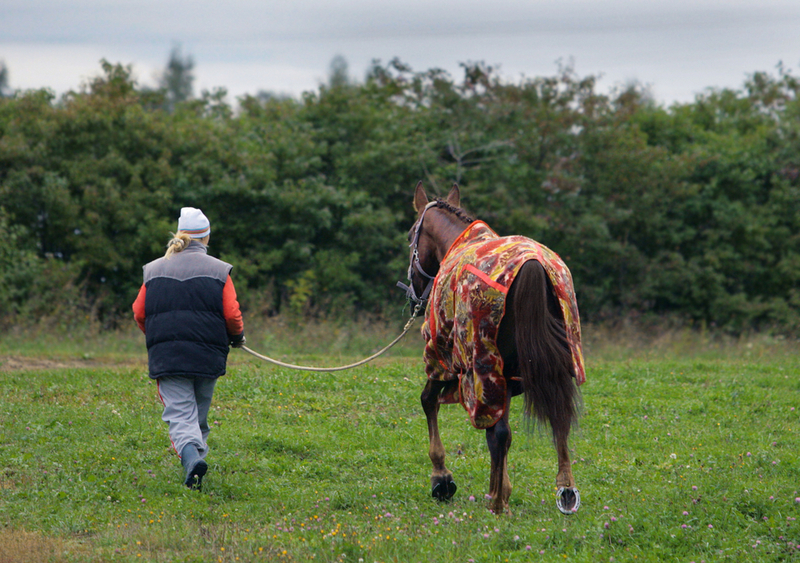 In early 2011, a small group that included owners, a rider, a trainer, and a veterinarian – all horse health advocates – were meeting in the Freedom Health, LLC conference room in northeast Ohio. The driving passion of the company, as well as for each of us who were present, was (and still is) to deliver superior, innovative education and products that address significant health-related issues for horses and the people who care for them. We were lamenting, as usual, the unfortunate, yet often necessary, turn that modern horse keeping has taken and the challenges it presents for a horse’s health. Practices that are commonly accepted and widely used, such as keeping horses in stalls and feeding grain, do more damage than many realize – especially to digestive health, our particular area of interest and expertise. Yet so many horse owners and managers employ these practices with little understanding of the impact they have on equine wellness. And one of the common problems associated with how we keep horses today is colic. Yet there is so little information, and a good amount of misinformation, available on the relationships between management practices, gut health, and colic. Despite years of effort, major publications continued to ignore this issue and the evidence suggesting that care practices may contribute significantly to colic risk. And there’s more behind it than changing feed types too quickly, a horse getting into the grain bin, or not providing adequate access to water. Colic is a significant, often man-made problem, and very little is out there to help you get more informed and educated on this condition. So we created the Crusade Against Equine Colic to get the message out: there’s more that contributes to colic than you think, and there’s more you can do about it than you realize. The Crusade Against Equine Colic is a movement empowering all horse people to learn how to reduce the risk for colic – and to share that knowledge with fellow equestrians. Simply, our goal is to save as many horses as possible from deadly and debilitating bouts of equine colic through educating you – the horse men and women who care for them. KNOW the factors that increase colic risk in your horse. EVALUATE your horse for early warning signs of poor digestive health. PROMOTE a healthy lifestyle to reduce equine colic risk. Knowledge is power, and when those who care for horses are educated – and then share their learning with others – more horses benefit. Download our free Guide to Equine Colic Awareness for a detailed explanation of these tenants. We launched Equine Colic Awareness in June of 2012. The primary mission of Colic Awareness Month is to raise visibility for our cause with a regular, dedicated period to foster conversation among equine advocates. Throughout its first four years, Colic Awareness Month has reached thousands of horse people who have shared their colic stories, empathized over losses and scares, accessed and shared educational materials, and participated in surveys and contests. Together, we have worked to further understanding of colic, digestive health, and better horse health management. We have a plethora of resources in our blog and on our website to teach you about horse’s digestive health, factors and processes that lead to colic, and steps you can take to promote a healthier lifestyle for your horses. We recommend starting with our e-books for easy-to-read, complete guides to the Crusade’s message. These PDFs are free to download and easy to save and take wherever you go. The message that the majority of colics in horses are preventable is a critical one. Join us on this journey as we work to improve wellness in horses and make colic scares a thing of the past.